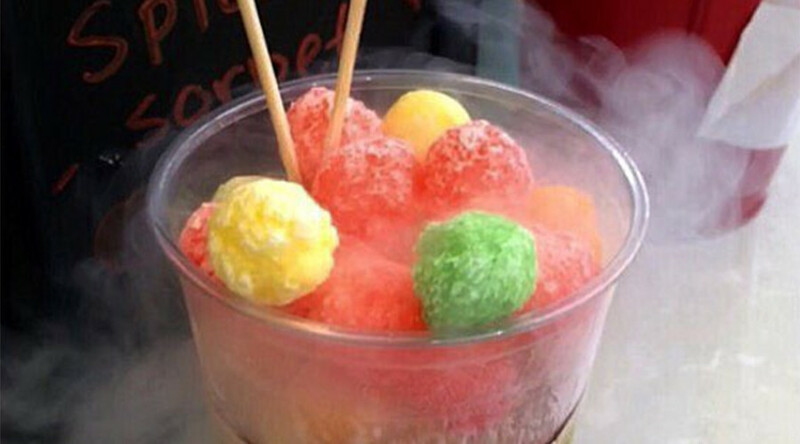 A 12-year-old boy in South Korea has become the latest victim of food treated with liquid nitrogen, which has a boiling point of just over -200 degrees Celsius and is potentially lethal when ingested. The dessert left the boy with a 5-centimeter hole in the stomach. The incident occurred while he was visiting a water park in Cheonan, a city in the central province of North Chungcheong on Tuesday, Yonhap news agency reported. He had helped himself to a puffy cereal called ‘Dragon’s Breath’. The dish is soaked in liquid nitrogen, the residue of which evaporates when eaten and produces smoke vapor upon exhalation. Apparently the boy gulped some of the liquid at the bottom of the cup when finishing the treat. His father rushed the boy to the city’s general hospital, where he underwent surgery. He has since been transferred to a general ward. The local police are investigating the incident over alleged criminal negligence. The eatery, which served the dangerous dessert, has been shut down, the agency said. It had operated without a license, according to police. Liquid nitrogen is added to dishes, particularly party cocktails, both as a coolant and because of the vapor it produces. What started as a cuisine fad quickly spread throughout bars and restaurants around the world. An incident similar to the one in South Korea happened in New Delhi in July, prompting a ban on serving food with liquid nitrogen in the city. Arguably the best-known case of such trauma happened in Lancashire, UK, in 2012. Gaby Scanlon was celebrating her 18th birthday at a bar and drank a cocktail treated with liquid nitrogen. The damage to her stomach was so severe that doctors had to remove it to save her life. The bar was later fined £100,000 ($130,000) for serving the potentially-lethal shot.